A classic mix of fresh, soft, and sweet licorice that originated in England. 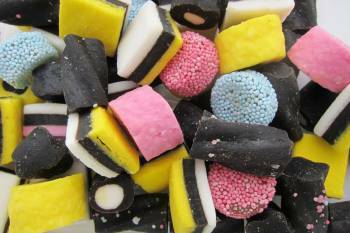 There is an assortment of colors and shapes in each bag, all with good old fashioned licorice flavor. First produced in Sheffield, England around 1900, this candy is popular throughout the world. Its soft colors look beautiful in a glass candy jar or dish.